Eventually the weather turned to be really chilly here. In the mornings it is almost below 10 degrees Celsius. I have even heard that it had snowed on high lands. Considering that it didn't snow for almost two years straight, it has rather been a shock to see something white falling from the skies. Although some people like and miss snow, I am perfectly happy to live somewhere where it is not that cold all year around. As the weather changes, I started to go for warmer scents with spices and occasionally a touch of incense. 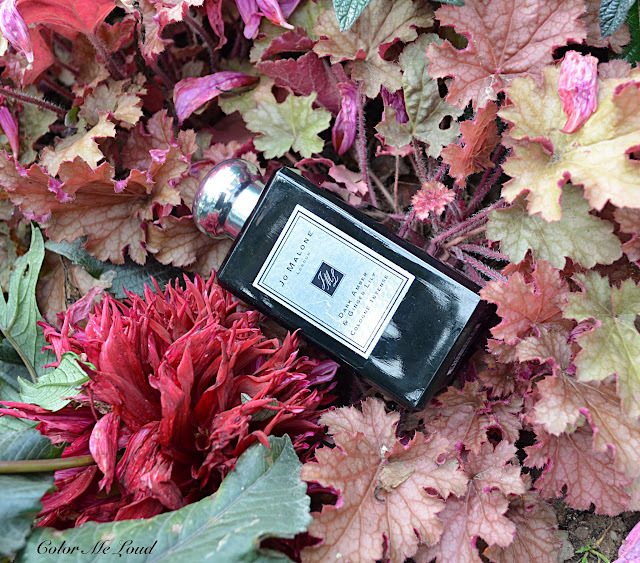 This season I have been loving Jo Malone Mimosa & Cardamom (reviewed here) for its inviting spicy opening and floral heart with an unusual touch of Mimosa. As it gets colder, I wanted to enrich the beautiful composition of Mimosa & Cardamom by emphasizing the spiciness, adding more sensual florals and neutralizing the sweetness of the Tonka Bean with something deeper, stronger and a little darker. 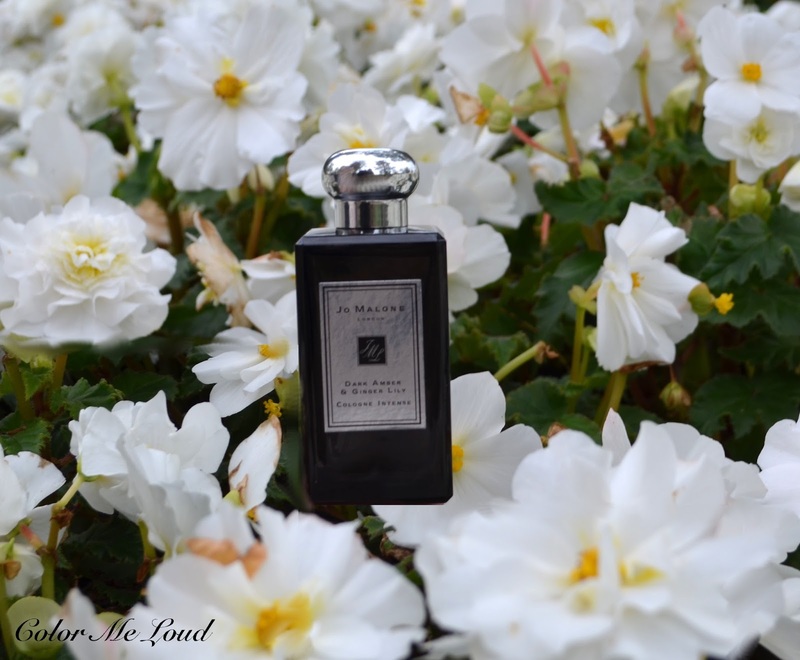 This is when I layered it to perfection with Jo Malone London Dark Amber & Ginger Lily Cologne Intense for my signature scent of this season. 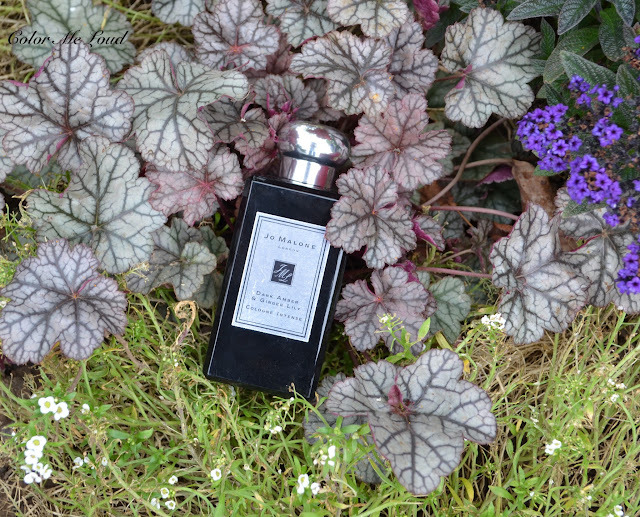 Here are my thoughts about Dark Amber & Ginger Lily Cologne Intense. Jo Malone London line consists of simple catchy scents as well as some with slightly more depth and complexity. All in all its aesthetics is about the beauty of the minimal. Don't expect unfolding layers after layers, hours after hours but instead you will catch a glimpse of something beautiful and preserve it by all of its lightness while thinking "Isn't simple the best?". Leather, Sandalwood, Kyara incense, Patchouli and Black Amber. Kyara incence in the base notes is special to the Kohdo ceremony, which is a variant of oud (agar wood) and for Kohdo ceremony, it is usually mixed with Sandalwood. Another material which was used in the ceremony is Ginger Lily (aka Hedychium). It is a flowering plant from ginger family. As agarwood (oud) became very rare, the price of the original Kohdo scent has increased tremendously. This lead to the sad fact that Kohdo ceremony is not performed widely anymore. If I were to use three words to describe Jo Malone London Dark Amber & Ginger Lily Cologne Intense, these would be "clean", "inviting" and "creamy". The opening reveals a strongly spicy with a very inviting and catchy aroma which might make you say "Don't judge me if I have to smell my wrist again and again". Soon enough cardamom and pepper cools down as the beautiful bouquet of the heart reveals with a straight kick of ambery notes. As it reaches the base, it becomes ever creamier and woodier. Throughout I find Dark Amber & Ginger Lily clean but with an unusual spicy feel to it. This is perfect because I wouldn't associate a darker, messier scent with Japan. Its almost meditational perfect blend with a touch of light incense is perfect to set the mood for Koyo (autumn leaves watching period). I am loving the combination of Dark Amber & Ginger Lily Cologne Intense and Mimosa & Cardamom Cologne layered. I feel like mixing good quality samples for a perfect tune. I must have told you that I studied Ton Meister some years ago. I feel like the frequencies which are missing to me in Mimosa & Cardamom is perfectly filled with Dark Amber & Ginger Lily. The base notes, a deeper woody presence as well as more sensual flower heart with a touch of rose and white flowers to compliment care free mimosa. There two together is my signature scent for this season. What is your signature scent for the season? Disclaimer: The product in this post was sent free of charge for my consideration. This scent sounds absolutely beautiful to me! I shall not be wearing cardamom; it is a key ingredient in South African Cape Malay cooking and I do not wish to smell like food LOL! I have not found my signature autumn scent yet. I have just finished Tom Ford Black Orchid (it has also become wayyyyy too recogniseable) and am looking at replacing it with Noir pour Femme. In the meantime I am using Juliette has a Gun Lady Vengeance, which I've had for a couple of years. Your description makes this scent sound fantastic! I'm curious about the opening of spices in this one, I'll try to sniff it when I have a chance. Hi Sara, thank you for the explanation about the Kohdo ceremony... it makes the scent so much more interesting! I remember having tested this one out in Bangkok before, and really liking it! Oh what a brilliant idea to layer this one with mimosa and cardamom, I'll try that! Hi Lou, we have the same fragrance taste! I am loving that combination so much, can't wear other perfumes lately lol. I just got the Dry Body Oil in Lime Basil, it is so much love. I have to check the Dry Body Oil for that one as well. Thanks for the tip. Hi Melissa, if you have them both, don't wait a min! this is really a nice one. Don't you have it in Singapore? I was confused why you tested it in Bangkok. ich würde mich interessieren wie es Dir die Kombination gefällt. Ich freue mich wenn du eine neue Duft aus deine zwei Lieblingsdüfte kreierst. Curie Beluga habe ich gehört aber noch nicht probiert. Ich werde aber es bald tun, bin neugierig! I also prefer woody fragrances for the cooler months. The best thing about winter is the fragrances since in Summer I find most of them to be too much but I can wear about anything once the weather gets colder. Something to look forward to. I will review Noir Pour Femme soon but let me tell you this, that one is very gourmand and smells like a cookie shop, lol. A good cookie shop with spices ;-) You cracked me up with Cape Malay cooking hahaha. I also use lots of Cardamom when I cook Chilli Con Carne.